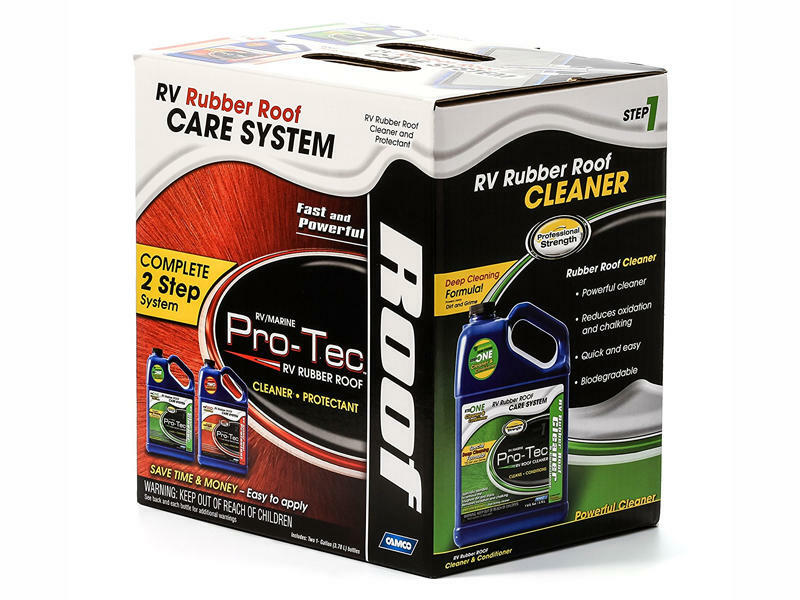 Pro-Tec™ RV Rubber Roof Care System- Pro Strength. This innovative 2-step Roof Care System is a must-have for every RV owner! Protects your rubber roof against the elements to reduce roof chalking and minimize maintenance. Contains a gallon of Camco Rubber Roof Cleaner and a gallon of Camco Rubber Roof Protectant.